OBXtek ensures customer satisfaction by establishing, executing, and tracking well-defined project requirements; providing frequent and open communications; and assigning dedicated employees committed to our customer’s mission and the continuous improvement of the quality management system. "OBXtek senior management has shown considerable commitment to building, maintaining, and improving our quality programs through sponsorship, active engagement, and the dedication of labor and funding." ISO 9001:2015 is a registered Quality Management System (QMS) which provides business process framework proven to improve service, quality, cost savings and customer satisfaction. 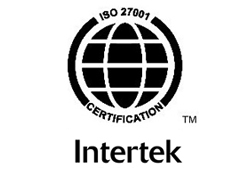 ISO/IEC 27001:2013 is a registered Information Security Management System process which implements, maintains, and continually improves information security. ISO/IEC 20000-1:2011 is a registered Service Management System which utilizes ITIL process guidelines to manage the service life cycle from planning through implementation and review. CMMI Maturity Level 3 for Development provides procedures that direct practices for project management, process management, systems engineering, hardware engineering, software engineering, and other supporting processes used in development and maintenance. ISO 14001:2015 is a registered Environment Management System (EMS) which provides a framework to measure and improve environmental impact. CMMI Maturity Level 3 for Services provides procedures that direct practices for work management, process management, service establishment, service delivery and support, and supporting processes. 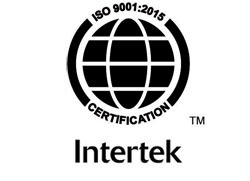 Our Integrated Quality and Management System leverages best practices from our ISO 9001:2015, ISO/IEC 20000-1:2011, ISO/IEC 27001:2013, ISO 14001:2015, and CMMI Level 3 (Development and Services) registered methodologies providing an inclusive Quality and Management System that delivers results to our customers for all service offerings.